The Black Horse and The Birch are family owned Freehouse establishments. 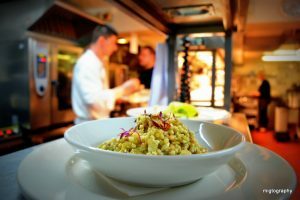 We are very busy restaurants with a fantastic reputation for delivering outstanding service and quality fresh food. Our team is dedicated, enthusiastic and hands on, with a passion for food and pride in their work. If this sounds like you and you wish to join our team of talented chefs or customer orientated waiting staff, then we would love to hear from you! Either contact us by telephone or click here to fill out an application form. If we do not have a job vacancy at the time, we will keep your details on file, and if we feel you’re right for the job, we will contact you when something becomes available. We are currently looking for Part Time Weekend Waiting Staff and a Kitchen Porter. We are looking for part time waiter/waitress’ to join our friendly front of house team, working weekend shifts at The Black Horse. Previous waiting experience preferred, but not essential as training will be given.